Stokes Bay Historic Houses: Monckton House . The Times 25 of August 1856, page 6, mentions that Queen Victoria, Prince Albert, the Prince of Wales and Prince Arthur, who were staying at Osborne on the Isle of Wight, came over to Stokes Bay in the Fairy steam yacht and, having landed, drove in carriages the 3/4 mile to Browndown to inspect the British German Legion encamped there. After that they went to look round 'Gomer Fort' which was under construction, then returned to Osborne in the Fairy. Another visit was made by Prince Albert to inspect the line of forts being built between Elson and Gomer (The Times 11 December 1857 page 10). Afterwards Albert, with Queen Victoria, dined at Alverbank, then they re-embarked onto the Fairy 'from Alverstoke Beach' and returned to Osborne. 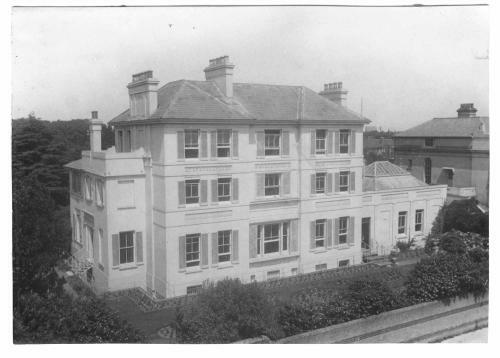 There are other references, some apocryphal, to Prince Alfred Ernest, Duke of Edinburgh visiting Bay House. One relates that Captain Arthur Embling, Captain of the Rothschild Yacht, whilst he was a young waterman carried the future King ashore pig-a-back fashion, smoking a large cigar. Victoria often used the landing stage inside Clarence Yard for her visits to and from the Isle of Wight and on at least two occasions used the station at Stokes Bay. 1784-85: A large swathe of land along Stokes Bay, from Fort Monckton to Browndown, was acquired by the Board of Ordnance. The only buildings acquired were Old Bay House and Gomer House. Referred to in a painting by Capt. 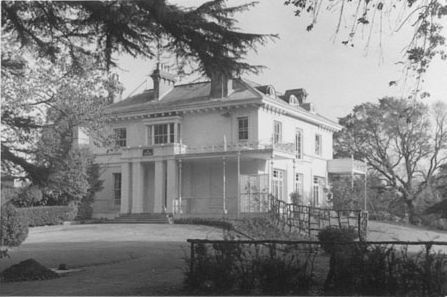 Durrant as Ivy House, the home of Lieutenant Williams. 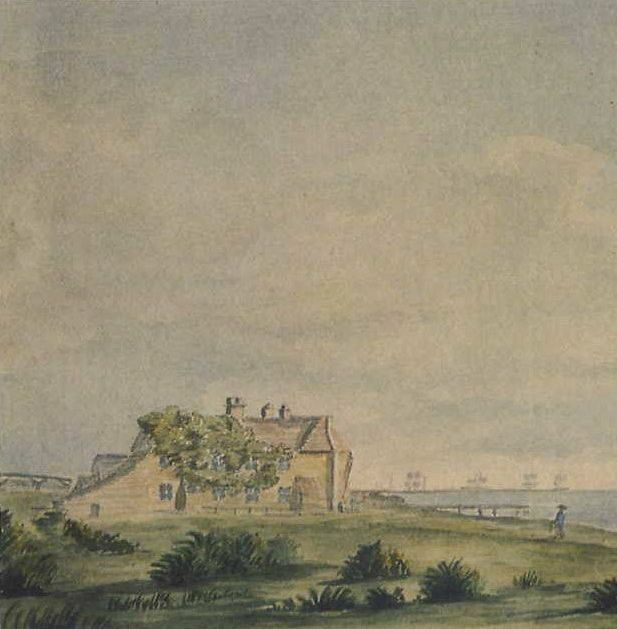 Old Bay House was south of the site on which Lord Ashburton built his Bay House in 1840. 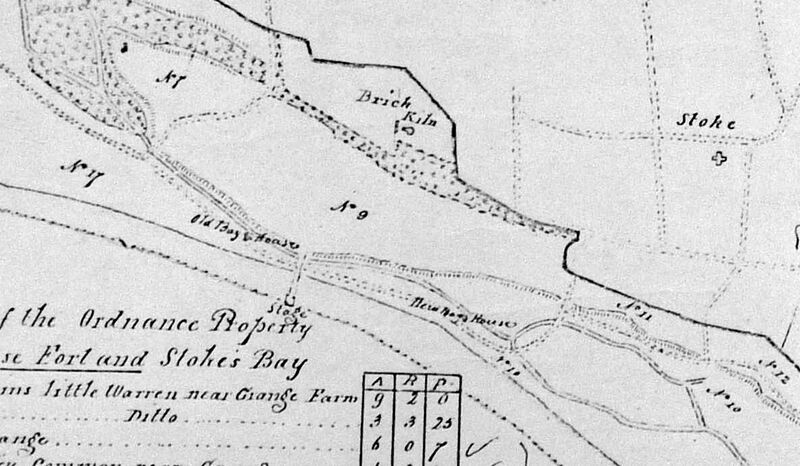 A plan of 1832 shows two groups of houses referred to as Old Bay House and New Bay House. Confusingly, Yet another plan refers to the eastern house as Stokes Bay House. 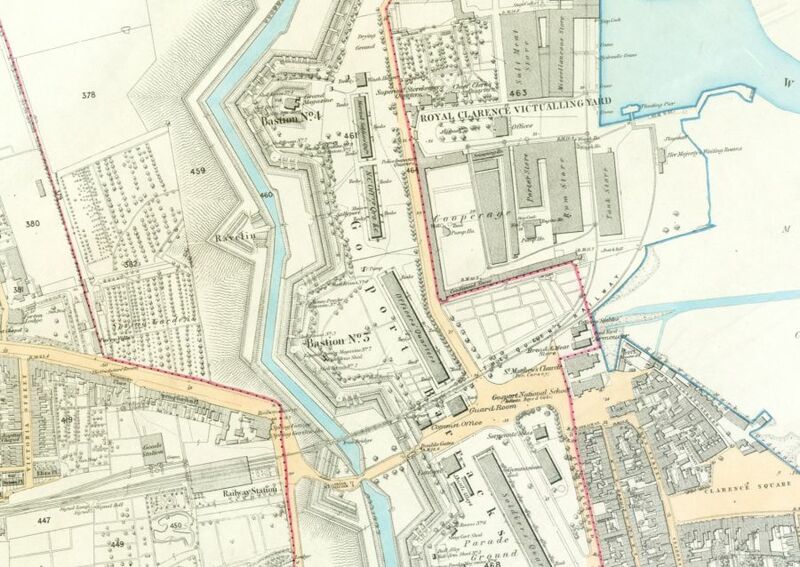 1788: A brickworks was established, with another added in 1806, these had ceased operating by 1820 when the old one was demolished; The other had gone by 1832. Each of the brickworks had a pier into the Solent, the eastern one survived until c1839; in 1840 it was described as derelict. 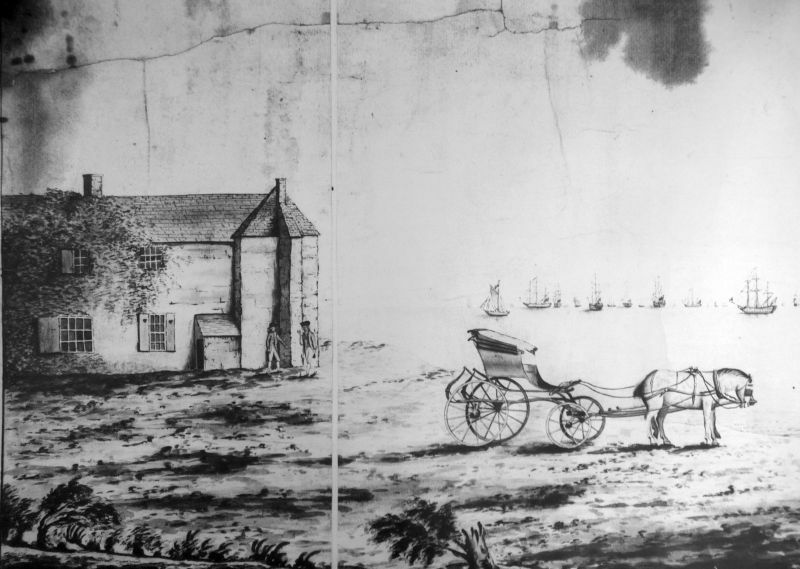 A coastguard house was built (before 1820) on the beach between Old Bay House and the eastern pier. 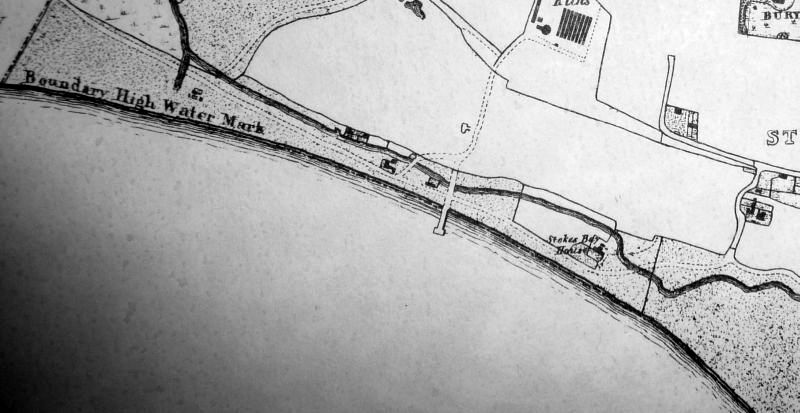 By 1818 New Bay House (a pub) had been built on the beach further to the east - closer to Stoke village. 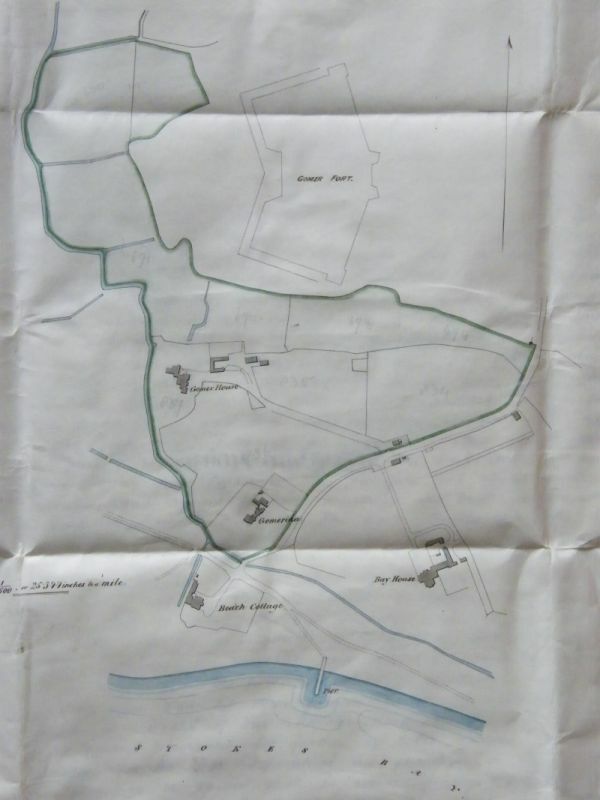 1839: The Ordnance declared the northern strip of its land between Marsh Lane (now Anglesey Road) and Gomer 'surplus to requirements' and put it up for auction. 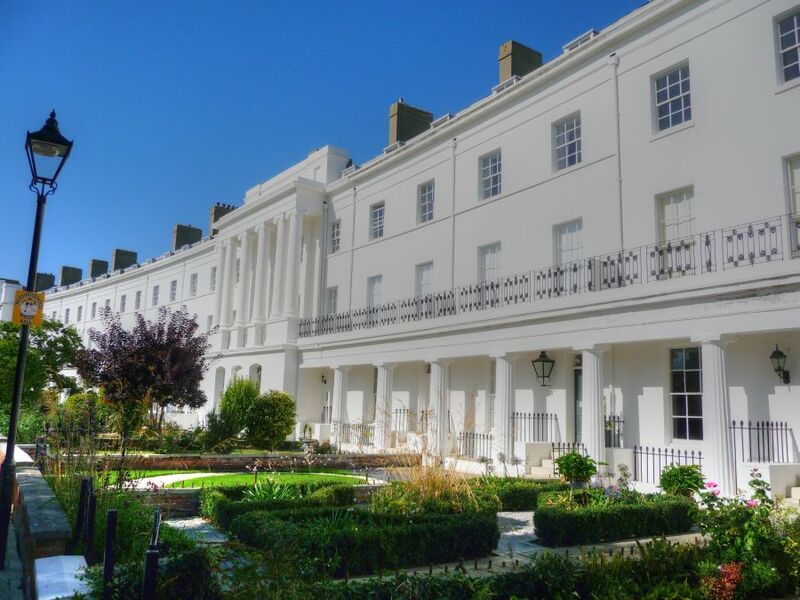 Lord Ashburton (Alexander Baring), John Wilson Croker, John Brett Purvis, Joseph Paddon and Dr Henry Burney all bought portions; the land was conveyed to them in March 1840; Ashburton had Old Bay House demolished to improve his view. 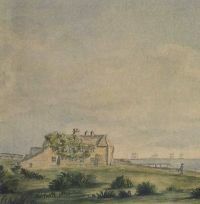 Ashburton built Bay House (1840-42); Croker built Alverbank House (1840); Purvis, of Bury Hall, added the land to his farm; likewise Paddon added the land to Alvercliffe; Burney's purchase included Gomer House; Compigne's land, at the western end of the Bay, was advertised for sale as building plots. 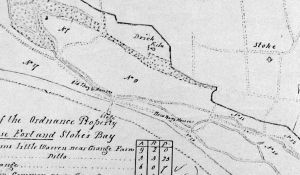 Between 1848 and 1861 the Board of Ordnance / War Department repurchased 180 acres paying over £53,000 for land which they sold for about £3,900 in 1840 (although Bay House and Gomerina had been built on the land in the meantime). 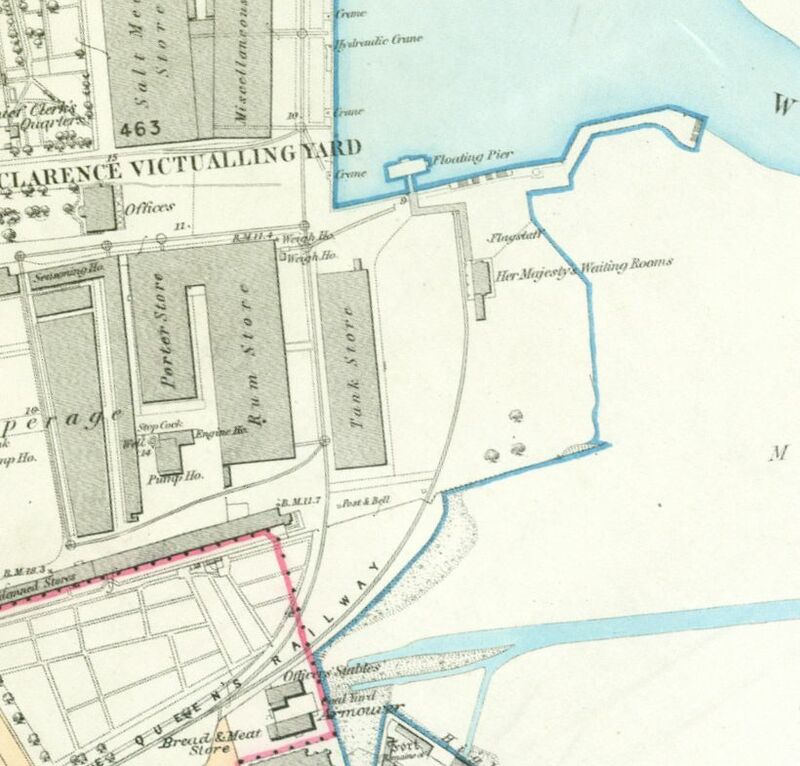 Sometime between 1862 and 1871 Alvercliffe was acquired and used as the residence of the Commanding Royal Engineer. Robert Synge 29 Ret? or RN? Henry E Bunbury 72 Baronet ret Lt Gn R.L.B. Acknowledgements: I am grateful to Gosport Historian Philip Eley for his contribution to this website, particularly the summary above (and checking the spelling!). Also to Simon Cox for the 1841 and 1851 census lists. 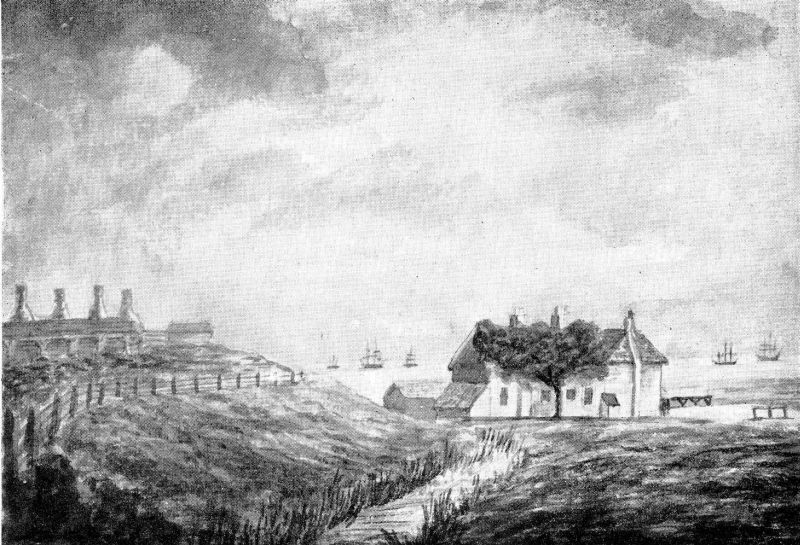 In March 1840 the Board of Ordnance sold 80 acres of land to Dr Henry Charles Burney of The Royal Academy, Gosport, for £2,015. There were three 'parcels' of land (of 14, 38 and 27.5 acres) The parcel of 27.5 acres had a house called Gomer House on it. In May 1840 Burney sold 5 acres (part of the grounds of Gomer House) to William Barber of Winchester, gentleman, for £495. 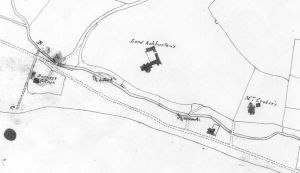 In January 1842 The Commissioners of Ordnance had granted Barber permission to throw a "carriage bridge" over the "Main Ditch" onto Ordnance land. 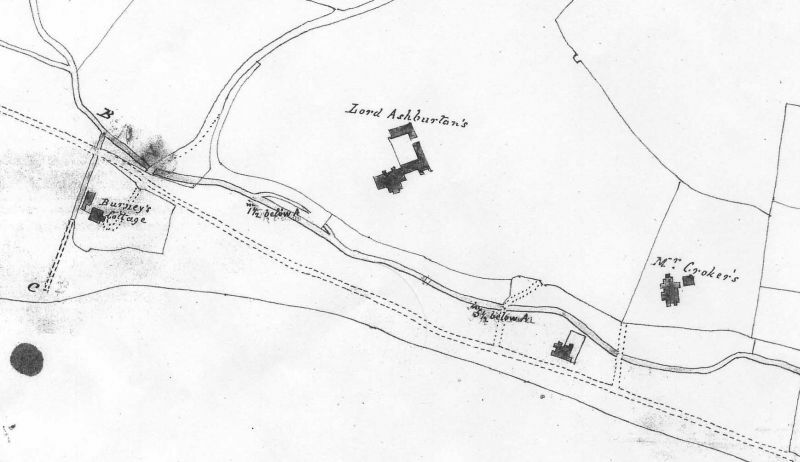 In July 1841 Burney sold the 38 acre parcel to Alexander, Lord Ashburton for £1,200 - this was an addition to the land that Ashburton bought directly from the Board of Ordnance. In January 1845 Burney sold Gomer House and the remaining 25 acres (arable and pasture land) to William Lindon of Hyde Park Gardens, Middlesex, esquire, for £3,150. Burney had extended and "improved" Gomer House. Presumably around this time Burney built 'Beach Cottage' on his remaining 14 acres (closest to the beach). In June 1846 Gomer House and grounds were sold to John Leveson Gower esquire of Bill Hill, Berkshire, for £3,600. In April 1847 William Barber sold to John Leveson Gower (now "of Gomer House") "the mansion house called Anglesea Lodge ... recently erected, with shrubberies and pleasure grounds" on the 5 acre plot for £2,900. A John Gardner esquire had a tenancy agreement on the house. In July 1857 all of John Leveson Gower (now "of Bill Hill" again) sold "that capital messuage called Gomer House, with the cottage, barn, stables and outbuildings and 25 acres of land", also the 5 acre piece of land with "the mansion house called Anglesea Lodge or Gomerina with stables (etc)" for £11,535. So, the land the Ordnance had sold in 1840 for about £750 (it being about a third of the original acreage sold to Burney) cost them 15 times as much to buy back seventeen years later!